Soccer ball mastery should be the foundation of every soccer player's development: Work on this soccer drill from Coerver Coaching and the ball will stick to you like metal to a magnet. 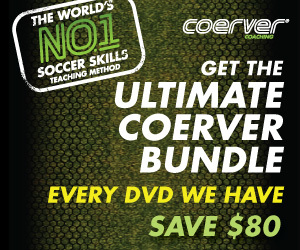 Coerver Coaching ball mastery is the key to becoming a great soccer player. Spend time with the soccer ball and master it. Are you left chasing your first touch like a piece of paper in the wind? If the answer to this questions is yes, than we have the remedy for your problem: Ball mastery with Coerver Coaching. In this particular offering above, it's not just your foot control that counts, but your head and chest. Work on this drill in training and the ball will become your team-mate rather than your opponent. 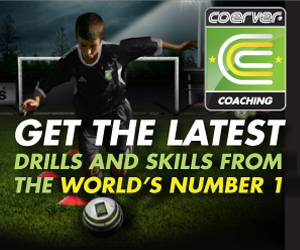 For more technical soccer advice visit Coerver Coaching.